Here you can find a close snapshot of some of the weddings we have styled over the last few years. 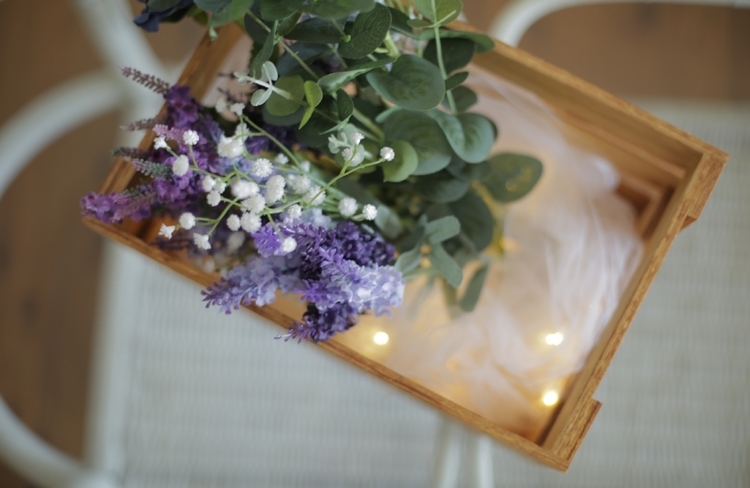 Bone & Willow specialise in Boho Luxe styling and have a variety of items, vases, and decor that can be used for your big day. When we aren't styling we are busy creating and designing homewares and gifts - a reflection of things we love and how we feel! Head to our shop "Home Heart Soul" to check it all out. Make sure you visit often and keep an eye out for updates! So of course I styled my own wedding! I've been adding to my secret Pinterest board for over two years, and always had a clear vision (with Jeremy's input every now and again, ha!) of what I wanted. 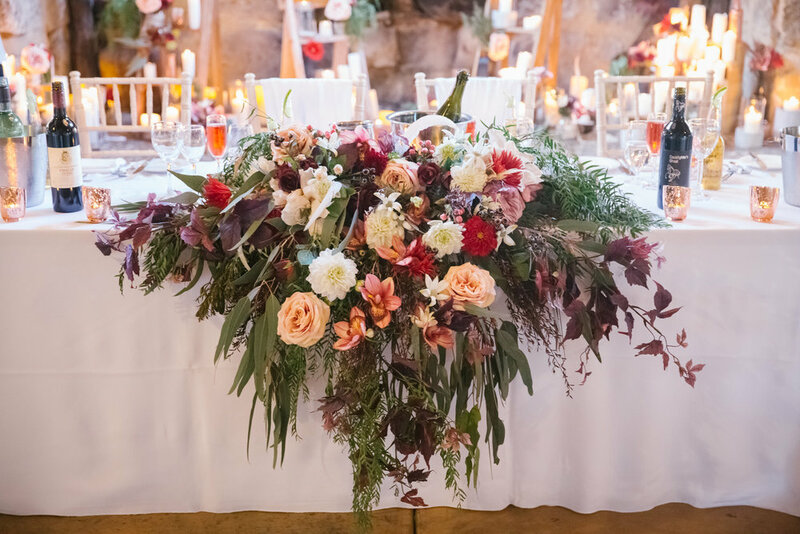 A winter wedding, set in beautiful surroundings, intimate with our closest friends and family - and lot's of colour and textures. Our location was Bathurst in an AirB'n'B for 3 days, with the wedding held on Saturday. There were a few minor hiccups; like forgetting one box of decorations back in Sydney, (let it go Amanda, people said it looked amazing - sigh) and Alfie, our son, deciding to scream through the whole ceremony because he was cold but didn't want to put a jacket on... who invites kids to a wedding anyway?? 3 year olds... But! Over all we were happy with how the day turned out. I was relaxed on the day, calmly putting together the bouquets and floral arrangements around the space... I did run out of time with a few things, but know if I had pushed myself I would not have been well to enjoy the day. As the bride on the day, I knew I could only do so much! Megan and Daniel were married in a grand cathedral in Mosman which was then followed by the reception, which was held at Taronga Zoo in the Harbourview Ballroom. Megan wanted the room to look warmer and more inviting so blush tablecloths were brought in especially for the day. The tables were decorated with copper mirrors, flowers in reds, blush and pink, gold and rose gold accents and heaps of candles - all adding to the warm glow of the blush tablecloths which were overlooking the amazing view of the Sydney Harbour Bridge. Liz and Richie were married in the Hunter Valley and Pepper Creek Chapel and the reception followed in the Pepper Creek Barrel Room. They both wanted lots of candles, and we took advantage of this with the huge stone fireplace behind the bridal table - stacking heaps and heaps of candles inside which looked stunning when all lit! The colour palette for the day was creams, reds, marsala and deep plums. The bridal centrepiece was something I was very proud of, it took up half of the table and cascaded down and over to the floor. Getting married in a local church rose garden, Hong and Josh exchanged vows under a canopy of white, lavender and pale blue flowers. The reception was held at a cute little Italian restaurant where the tables where lined with fairy lights, candles wrapped in lavender and an abundance of greenery. We took the flower canopy to the reception and placed it behind the bridal table. It really brought the whole space alive, and added to the overall look of the venue! Silos Estate in Berry NSW was the setting for this couples big day. A fun and relaxed vibe was the brief; with Singapore orchids, blue hydrangeas and white roses for foliage with silver and glitter highlights! The Estate's vineyard gave an amazing backdrop for the loved up couple, and when the rain set in it gave the whole look a beautiful haze that just added to the magic of the day. The reception for Oke and Zoe was held at Oatlands House. A stunning room surrounded by white sandstone walls and floor to ceiling glass windows. My famous flower canopy which featured an abundance of white flowers and soft green shrubbery along with silver candelabras, white and grey fragrant candles, tall white pedestals with flowers and orchid trees adorned the tables throughout the venue. To see the Pinterest board that served as inspiration click here. Albert and Sandy were married at Appin House, and the reception followed in the homestead. Sandy's favourite colour is purple, so it was a prominent feature throughout the day. Fairylights and candles were added to the outdoor ceremony area, and really made the night look twinkly and magical. To see the Pinterest board that served as inspiration click here. 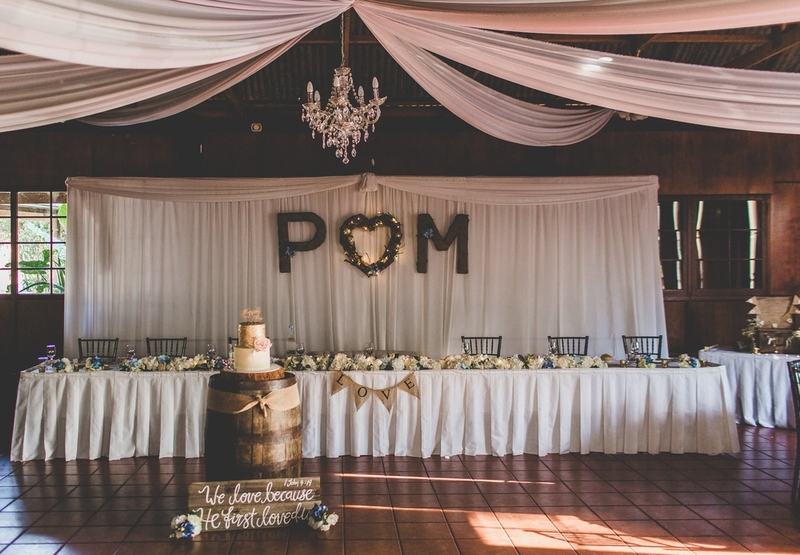 Paul & Mallory chose to hire a lot of their reception decorations from Fresh Creative. They asked me to put everything together for them and add a few personal touches to their special day. I created the giant letters and love heart, which added a nice touch behind the bridal table, along with personal '#signs' and extra lighting. Paul and Mallory's reception was held at Gledswood Homestead and Winery. Adam and Adriana wanted a winter wedding, but wanted to keep it classy, elegant whist maintaining warmth and glow from candles and natural elements. We stuck to a pallet of whites, greys and a few pops of navy blue - which all tied in nicely with this wintry theme. The reception was held at Curzon Hall, if you haven't seen this venue yet - you should! To see the Pinterest board that served as inspiration click here. Amanda is amazing, patient and talented.